AKYUREK, H. A. , KOCER, B.
Hyperspectral pixels which have high spectral resolution are used to predict decomposition of material types on area of obtained image. Due to its multidimensional form, hyperspectral image classification is a challenging task. Hyperspectral images are also affected by radiometric noise. In order to improve the classification accuracy, many researchers are focusing on the improvement of filtering, feature extraction and classification methods. In the context of hyperspectral image classification, spatial information is as important as spectral information. In this study, a three-dimensional spatial-spectral filtering based feature extraction method is presented. It consists of three main steps. The first is a pre-processing step which include spatial-spectral information filtering in three-dimensional space. The second comprises extract functional features of filtered data. The last one is combining extracted features by serial feature fusion strategy and using to classify hyperspectral image pixels. Experiments were conducted on two popular public hyperspectral remote sensing image, 1%, 5%, 10% and 15% of samples of each classes used as training set, the remaining is used as test set. The proposed method compared with well-known methods. Experimental results show that the proposed method achieved outstanding performance than compared methods in hyperspectral image classification task. W. He, H. Zhang, L. Zhang, and H. Shen, "Hyperspectral Image Denoising via Noise-Adjusted Iterative Low-Rank Matrix Approximation," IEEE Journal of Selected Topics in Applied Earth Observations and Remote Sensing, vol. 8, no. 6, pp. 3050-3061, 2015. C. Aswathy, V. Sowmya, and K. P. Soman, "Hyperspectral Image Denoising Using Low Pass Sparse Banded Filter Matrix for Improved Sparsity Based Classification," Procedia Computer Science, vol. 58, pp. 26-33, // 2015. B. Cui, X. Ma, X. Xie, G. Ren, and Y. Ma, "Classification of visible and infrared hyperspectral images based on image segmentation and edge-preserving filtering," Infrared Physics & Technology, vol. 81, pp. 79-88, 3// 2017. S. Srivatsa, A. Ajay, C. K. Chandni, V. Sowmya, and K. P. Soman, "Application of Least Square Denoising to Improve ADMM Based Hyperspectral Image Classification," Procedia Computer Science, vol. 93, pp. 416-423, // 2016. J. Huang, Y. Ma, X. Mei, and F. Fan, "A hybrid spatial-spectral denoising method for infrared hyperspectral images using 2DPCA," Infrared Physics & Technology, vol. 79, pp. 68-73, 11// 2016. X. Kang, S. Li, and J. A. Benediktsson, "Spectralspatial hyperspectral image classification with edge-preserving filtering," IEEE transactions on geoscience and remote sensing, vol. 52, no. 5, pp. 2666-2677, 2014. X. Li, J. Pan, Y. He, and C. Liu, "Bilateral filtering inspired locality preserving projections for hyperspectral images," Neurocomputing, vol. 164, pp. 300-306, 9/21/ 2015. Y.-L. Chang, J.-N. Liu, C.-C. Han, and Y.-N. Chen, "Hyperspectral Image Classification Using Nearest Feature Line Embedding Approach," IEEE Transactions on Geoscience and Remote Sensing, vol. 52, no. 1, pp. 278-287, 2014. H.-Y. Huang and B.-C. Kuo, "Double Nearest Proportion Feature Extraction for Hyperspectral-Image Classification," IEEE Transactions on Geoscience and Remote Sensing, vol. 48, no. 11, pp. 40344046, 2010. 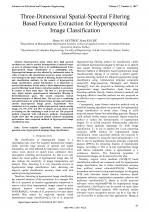 S. T. Tu, J. Y. Chen, W. Yang, and H. Sun, "Laplacian Eigenmaps-Based Polarimetric Dimensionality Reduction for SAR Image Classification," IEEE Transactions on Geoscience and Remote Sensing, vol. 50, no. 1, pp. 170-179, 2012. W. Li, S. Prasad, J. E. Fowler, and L. M. Bruce, "Locality-Preserving Discriminant Analysis in Kernel-Induced Feature Spaces for Hyperspectral Image Classification," IEEE Geoscience and Remote Sensing Letters, vol. 8, no. 5, pp. 894-898, 2011. W. Li, S. Prasad, J. E. Fowler, and L. M. Bruce, "Locality-Preserving Dimensionality Reduction and Classification for Hyperspectral Image Analysis," IEEE Transactions on Geoscience and Remote Sensing, vol. 50, no. 4, pp. 1185-1198, 2012. 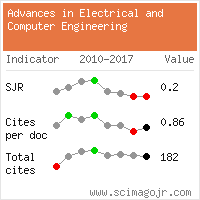 R. Luo, W. Liao, and Y. Pi, "Discriminative Supervised Neighborhood Preserving Embedding Feature Extraction for Hyperspectral-image Classification," TELKOMNIKA Indonesian Journal of Electrical Engineering, vol. 10, no. 5, pp. 10511056, 2012. Y. Wei et al., "Hyperspectral image classification using FPCA-based kernel extreme learning machine," Optik - International Journal for Light and Electron Optics, vol. 126, no. 23, pp. 3942-3948, 2015. C.-C. Chang and C.-J. Lin, "Libsvm," ACM Transactions on Intelligent Systems and Technology, vol. 2, no. 3, pp. 1-27, 2011. Y. Bazi and F. Melgani, "Toward an Optimal SVM Classification System for Hyperspectral Remote Sensing Images," IEEE Transactions on Geoscience and Remote Sensing, vol. 44, no. 11, pp. 3374-3385, 2006. G. Mountrakis, J. Im, and C. Ogole, "Support vector machines in remote sensing: A review," ISPRS Journal of Photogrammetry and Remote Sensing, vol. 66, no. 3, pp. 247-259, 2011. B. Demir and S. Erturk, "Hyperspectral Image Classification Using Relevance Vector Machines," IEEE Geoscience and Remote Sensing Letters, vol. 4, no. 4, pp. 586-590, 2007. G. B. Huang, H. Zhou, X. Ding, and R. Zhang, "Extreme learning machine for regression and multiclass classification," IEEE Trans Syst Man Cybern B Cybern, vol. 42, no. 2, pp. 513-29, Apr 2012. M. Han and B. Liu, "A Remote Sensing Image Classification Method Based on Extreme Learning Machine Ensemble," Lecture Notes in Computer Science, vol. 7951, pp. 447-454, 2013. M. Pal, A. E. Maxwell, and T. A. Warner, "Kernel-based extreme learning machine for remote-sensing image classification," Remote Sensing Letters, vol. 4, no. 9, pp. 853-862, 2013. M. J. McDonnell, "Box-filtering techniques," Computer Graphics and Image Processing, vol. 17, no. 1, pp. 65-70, 1981. P. Saint-Marc, J. S. Chen, and G. Medioni, "Adaptive smoothing: a general tool for early vision," IEEE Transactions on Pattern Analysis and Machine Intelligence, vol. 13, no. 6, pp. 618-624, 1989. P. Perona and J. Malik, "Scale-space and edge detection using anisotropic diffusion," IEEE Transactions on Pattern Analysis and Machine Intelligence, vol. 12, no. 7, pp. 629-639, 1990. L. Yaroslavsky, Digital Picture Processing - An Introduction. Springer-Verlag Berlin Heidelberg, 1985. J.-S. Lee, "Digital image smoothing and the sigma filter," Computer Vision, Graphics, and Image Processing, vol. 24, no. 2, pp. 255-269, 1983. C. Tomasi and R. Manduchi, "Bilateral Filtering for gray and color images," in ICCV '98, Sixth International Conference on Computer Vision, Washington DC, 1998. S. M. Smith and J. M. Brady, "SUSAN - A New Approach to Low Level Image Processing," International Journal of Computer Vision, vol. 23, no. 1, pp. 45-78, 1997. M. Elad, "On the origin of the bilateral filter and ways to improve it," IEEE Trans Image Process, vol. 11, no. 10, pp. 1141-51, 2002. A. Buades, B. Coll, and J. M. Morel, "A Review of Image Denoising Algorithms, with a New One," Multiscale Modeling & Simulation, vol. 4, no. 2, pp. 490-530, 2005. J. V. Manjon, P. Coupe, L. Marti-Bonmati, D. L. Collins, and M. Robles, "Adaptive non-local means denoising of MR images with spatially varying noise levels," J Magn Reson Imaging, vol. 31, no. 1, pp. 192-203, Jan 2010. P. Coupe, P. Yger, S. Prima, P. Hellier, C. Kervrann, and C. Barillot, "An optimized blockwise nonlocal means denoising filter for 3-D magnetic resonance images," IEEE Trans Med Imaging, vol. 27, no. 4, pp. 425-41, Apr 2008. B. M. ter Haar Romeny, Front-End Vision and Multi-Scale Image Analysis. Springer Netherlands, 2003. H. L. Shang, "A survey of functional principal component analysis," AStA Advances in Statistical Analysis, vol. 98, no. 2, pp. 121-142, 2013. J.-L. Wang, J.-M. Chiou, and H.-G. Müller, "Functional data analysis," Annual Review of Statistics and Its Application, vol. 3, pp. 257-295, 2016. J. O. Ramsay and B. W. Silverman, Functional Data Analysis, 2nd Ed. New York: Springer, 2005. J. Yang, J.-y. Yang, D. Zhang, and J.-f. Lu, "Feature fusion: parallel strategy vs. serial strategy," Pattern Recognition, vol. 36, no. 6, pp. 1369-1381, 6// 2003. R. Roscher and B. Waske, "Shapelet-Based Sparse Representation for Landcover Classification of Hyperspectral Images," IEEE Transactions on Geoscience and Remote Sensing, vol. 54, no. 3, pp. 1623-1634, 2016. C. Li, Y. Ma, X. Mei, C. Liu, and J. Ma, "Hyperspectral Image Classification With Robust Sparse Representation," IEEE Geoscience and Remote Sensing Letters, vol. 13, no. 5, pp. 641-645, 2016. W. Li, Q. Du, and M. Xiong, "Kernel Collaborative Representation With Tikhonov Regularization for Hyperspectral Image Classification," IEEE Geoscience and Remote Sensing Letters, vol. 12, no. 1, pp. 1-5, 2014. L. Fang, S. Li, W. Duan, J. Ren, and J. A. Benediktsson, "Classification of Hyperspectral Images by Exploiting Spectral&#x2013;Spatial Information of Superpixel via Multiple Kernels," IEEE Transactions on Geoscience and Remote Sensing, vol. 53, no. 12, pp. 6663-6674, 2015. K. Xudong, L. Shutao, F. Leyuan, L. Meixiu, and J. A. Benediktsson, "Extended Random Walker-Based Classification of Hyperspectral Images," IEEE Transactions on Geoscience and Remote Sensing, vol. 53, no. 1, pp. 144-153, 2015. J. Li, M. Khodadadzadeh, A. Plaza, X. Jia, and J. M. Bioucas-Dias, "A Discontinuity Preserving Relaxation Scheme for SpectralSpatial Hyperspectral Image Classification," IEEE Journal of Selected Topics in Applied Earth Observations and Remote Sensing, vol. 9, no. 2, pp. 625-639, 2016. Citations for references updated on 2019-04-22 14:10 in 296 seconds. Website conception, design and maintenance by Eugen COCA. Content updated on 28 Feb 2019. Site engine updated on 28 Feb 2019. This page was generated on the server in 0.051 seconds and loaded in your browser in > seconds.